Everyone’s skin is different and multiple can react differently to the same product. That’s why its important to understand what works for you and your skin type. Cleansers are an essential part of a healthy self-care routine. Your skin can collect dirt and pollutants throughout the day, and if you use makeup you also need a healthy way to remove those products from your face. Depending on whether you have oily, dry, or combination skin, the type of cleanser you need may differ from ones you’ve used in the past or what other people recommend. That’s why we put together a list of 15 facial cleansers divided between gel cleansers, foam cleansers, and cream cleansers. They are all available on Amazon and cruelty-free because it’s totally possible to avoid contributing to the harm of animals while taking care of yourself. 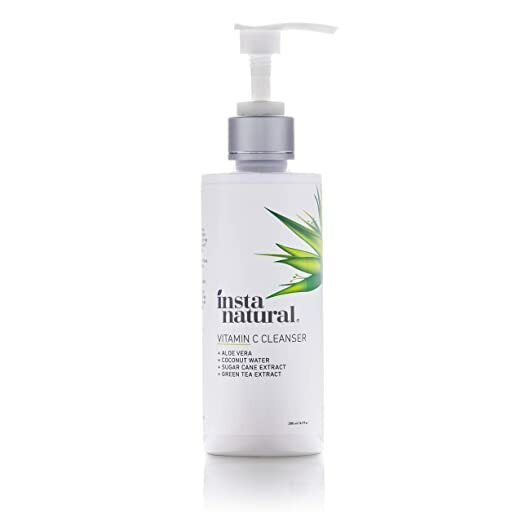 InstaNatural’s Vitamin C Facial Cleanser is a gentle face wash with antioxidants like vitamin C and organic aloe. It can clear and unclog pores, breakouts, blemishes, and is supposed to work for all skin types. It’s also infused with green tea, chamomile sugar cane, and coconut water. The price is $19.97. 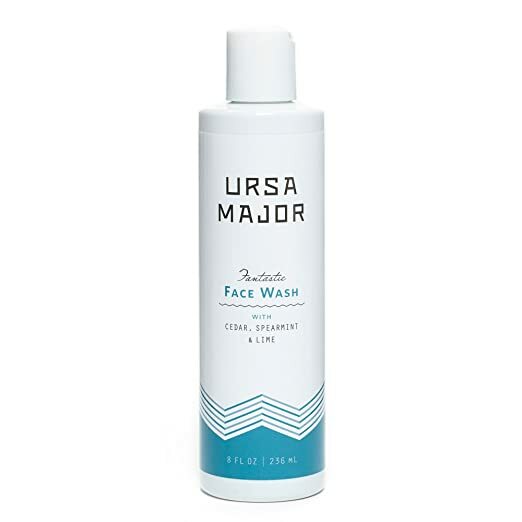 Ursa Major’s Natural Face Wash is a concentrated foaming gel cleanser that exfoliates without stripping skin’s moisture or messing with the pH balance. The ingredients are naturally-derived and include soothing aloe, sugarcane, rice seed, and coconut-derived surfactants. It’s paraben-free, fragrance-free, cruelty-free, and vegan. It’s also free of petrochemicals, sulfates, synthetic fragrances and colors. The pleasant fragrance comes from the essential oils including cedar, spearmint, lime, lemon, rosemary, black spruce, owyhee, vetiver, and lavender. It works best for natural, oily, combination, and temperamental skin types. The price is $28.00. 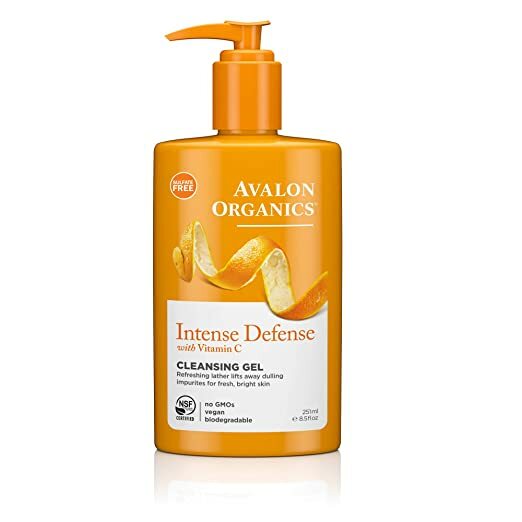 Intense Defense Cleansing Gel by Avalon Organics is certified organic, plant-based, and made with organic botanicals and essential oils. It contains no GMOs, parabens, synthetic colors or fragrances, phthalates, or sulfates.The vitamin C lathers away toxins and impurities. This cleansing gel costs $7.02. 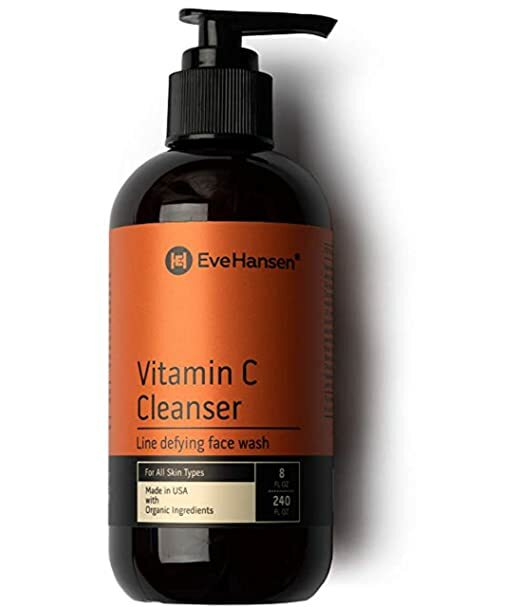 Eve Hansen’s Vitamin C Face Wash gently exfoliates skin to remove dead skin cells while refining and hydrating skin. It can be used on sensitive skin, and the natural ingredients will not strip skin of its moisture. It’s vegan, cruelty-free, and doesn’t contain any parabens, silicones, sulfates, or phthalates. The price is $19.98. Anora Skincare’s Purifying Gel Cleanser was formulated by a doctor with over 45 years of experience in skincare, health, and wellness medicine. The antioxidant-rich formula cleans and gently exfoliates. It’s made with natural ingredients including orange peel oil, aloe vera, white tea leaf extract, cucumber fruit extract, and more. This cleanser is cruelty-free and does not contain any sulfates, parabens, fragrances, or synthetic colors. It costs $36.00. 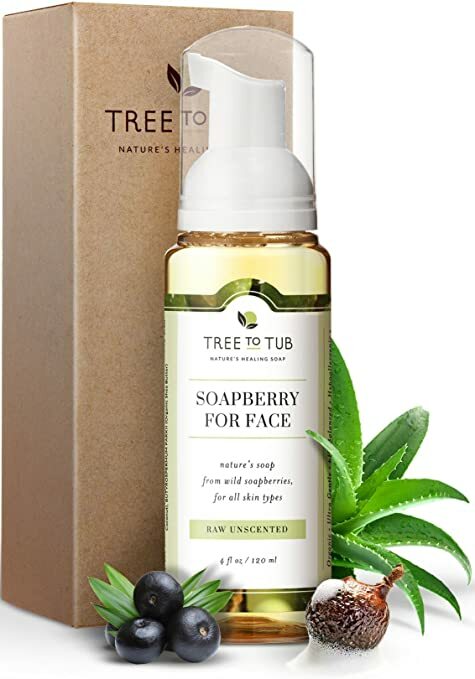 Tree to Tub’s Unscented Foaming Facial Cleanser is made with coconut, shea butter, aloe vera, acai, and chamomile. It’s a low pH formula that’s gentle and healing even for those with eczema, rosacea, and sensitive skin. The cleanser is also hypoallergenic, fair trade, vegan, cruelty-free, and sustainably harvested. It costs $18.99. 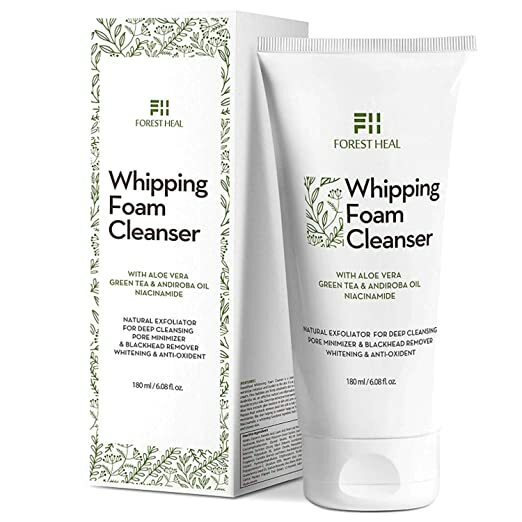 Forest Heal’s Whipping Foam Cleanser is infused with papaya extract to naturally and gently remove make up, and to destress and invigorate your face. Andiroba oil is derived from hand-collected, dried and pressed seeds from Amazonian trees and they lend their anti-inflammatory and healing properties to this cleanser. It’s also vegan, cruelty-free, and organic. It costs $14.99. 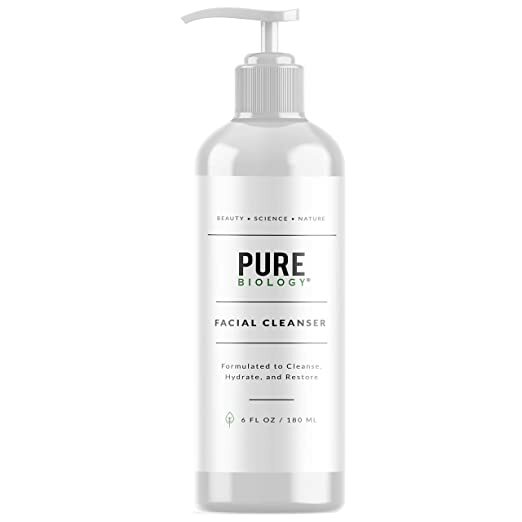 Pure Biology’s Premium Facial Cleanser with Hyaluronic Acid is a gentle face wash that cleanses without stripping skin of moisture or healthy bacteria. It’s made with essential oils and botanical extracts to remove blackheads, cleanse pores, moisturize, and repair damaged, irritated skin. Pure Biology says it works for all skin types including acne-prone, oily, and dry skin. This non-GMO, cruelty-free, and paraben-free cleanser costs $21.90. Ariul’s Natural Face Wash Cleansing Foam is does not contain mineral oils, chemical surfactants, artificial colors, artificial scents, and is cruelty-free. It’s made with natural oils extracted from seven fruits and plants that maintain moisture. The natural herbal extracts include Sea Buckthorn Fruit, Camomile, Rosemary, and Camu-Camu, which help calm the skin. There’s also a Phyto-6 Purefull Complex from Tomato, Broccoli, Banana, Cabbage, Tomato, and Carrot. It costs $12.99. Block Island Organics’ Purifying Facial Cleanser is meant to work for all skin types including sensitive, oily, combination, dull, normal, and dry skin. It’s free of sulfates, harsh chemicals, phthalates, dye, fragrances, gluten, and is vegan and cruelty-free. Packed with antioxidants, vitamin C, and vitamin E, it can revitalize skin and decrease sun damage. Organic aloe vera, rosehip, chamomile, sunflower, avocado, olive, and other botanicals are also in the ingredients. The price is $21.99. 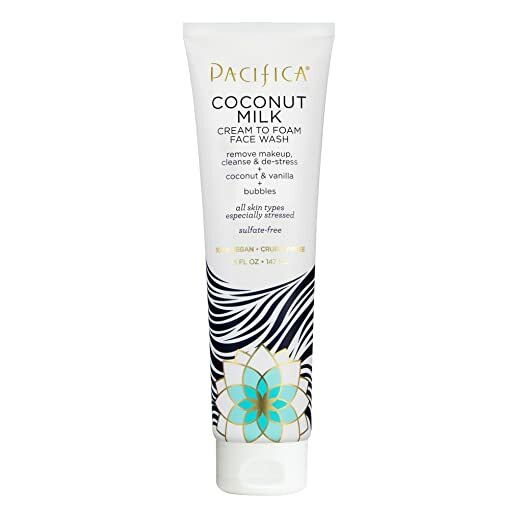 Pacifica Beauty’s Coconut Milk Cream to Foam Face Wash is not only vegan and cruelty-free, but it’s also free of parabens, phthalates, mineral oil, sulfates, synthetic fragrances, and petroleum. Two of the main ingredients are coconut and vitamin E, and it smells like coconut and vanilla. It costs $9.49. 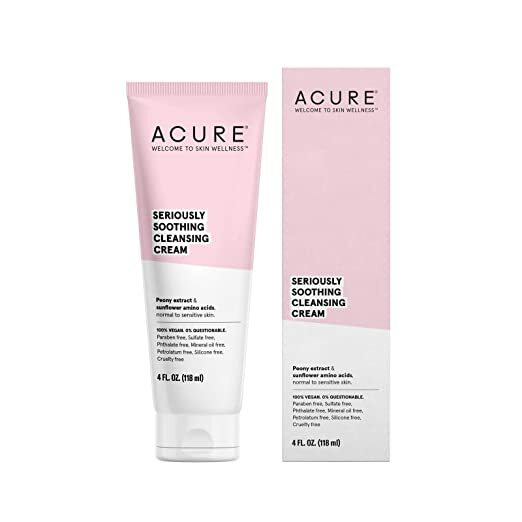 Acure’s Seriously Soothing Cleansing Cream purifies and cleanses skin without drying, and provides nutrient dense moisture while cleaning. It also protects skin’s natural acid. Acure says it’s good for dry and sensitive skin. It’s vegan, cruelty-free, sulfate free, and paraben free. The price for one cream is $9.99. 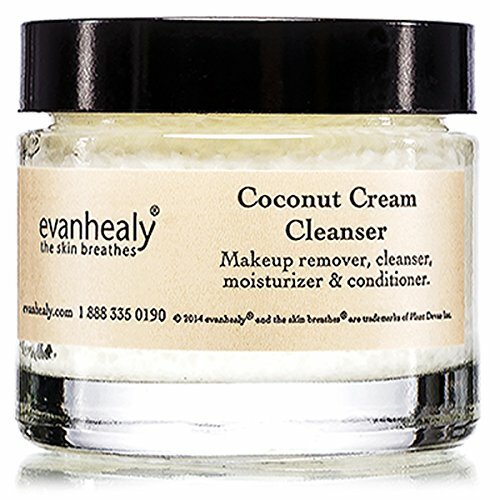 evanhealy’s Ayurvedic Coconut Cream Cleanser is made with certified organic, raw, and unrefined virgin coconut oil which is natural fragrant and its living enzymes and nutrients deeply nourish skin. Organic virgin coconut oil can cleanse pores and keeps skin clear and smooth. This cream cleanser is also naturally scented with sweet orange and the vetiver helps calm and relax facial muscles. It costs $24.95. 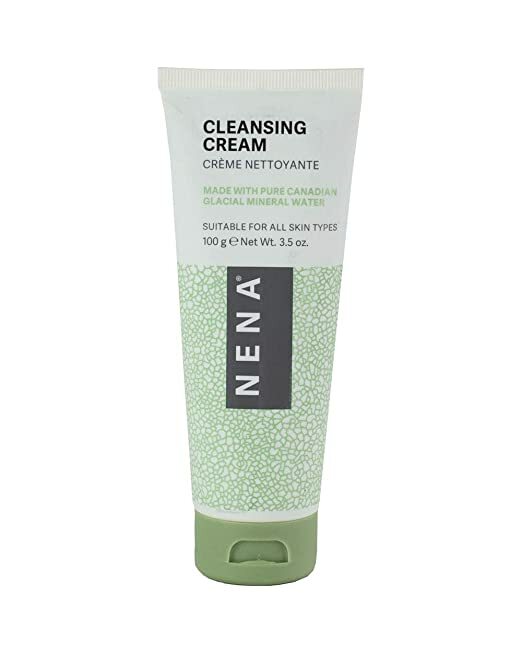 NENA’s Gentle Cleansing Cream is made with glacial mineral water and glacial oceanic clay which has over 60 minerals and rare earth elements, and removes makeup, dead skin cells, and environmental pollutants. NENA says it’s suitable for all skin types including normal, dry, oily, sensitive, and aging skin. It’s vegan, cruelty-free, halal certified, and Environmental Working Group verified. The price is $15.95. 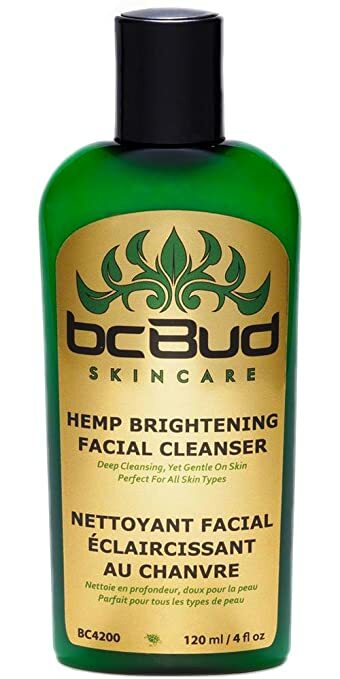 This Hemp Brightening Facial Cleanser Cream is made with natural hemp oil, aloe vera, chamomile, cucumber, and Japanese green tea extract. It gently washes skin and calms skin inflammation and irritation. It can also prevent redness and breakouts. It’s supposed to be gentle on all skin types and be very effective at removing makeup. As well as being cruelty-free, it’s also paraben-free, SLS-free, alcohol-free, and free of harsh chemicals. The price is $17.77. If you’re looking for more natural and cruelty-free products, we recommend 15 Cruelty-Free and Natural Soap Bars and #FoundersFinds: Current Favorite Cruelty-Free Beauty Products For Daily Use!